Within the new Voyager Series, Load King will offer three primary models: The Voyager I mechanics body, an Under-CDL model, the Voyager II mechanics body, and the Voyager P propane service body, built specifically for propane marketers. 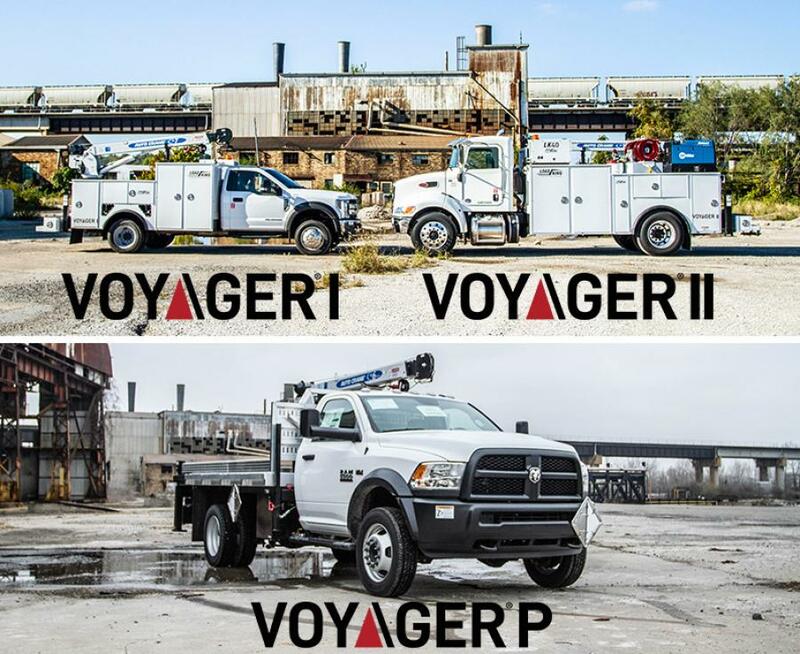 Load King LLC, a wholly-owned subsidiary of Custom Truck One Source (Custom Truck), announced the launch of its new Voyager Series, a vocational collection of high-performance mechanics bodies designed to serve an array of heavy equipment industries. Within the new Voyager Series, Load King will offer three primary models: The Voyager I mechanics body, an Under-CDL model, the Voyager II mechanics body, and the Voyager P propane service body, built specifically for propane marketers. All models within the Voyager Series are expected to surpass the competition in payload capacity and quality, while maintaining a competitive price point. The Voyager I and Voyager II mechanics bodies both feature a state-of-the-art modular control system with pushbutton control panel and an LCD diagnostic monitor, CTECH drawer sets, a custom-designed cab guard, an industry-leading compartment and bed storage, supreme corrosion protection through Load King's full lining coverage and chrome-plated handles, and unmatched visibility and lighting. Both Voyager I and Voyager II are available with optional rail gear. The Voyager P propane service body will feature a tri-axis sensor to stay level with ease, Rumber bed floor for no-slip bed access, with a removable pipe vice attachment and aluminum side rails. The launch of the Voyager Series marks the latest addition to Load King's recent vocational collection, which were introduced alongside several new and enhanced trailer lines in 2017. To recap 2017's product development, in February, Load King released the Premier Roofing Conveyor featuring a fiberglass design, ergonomic controls, 360 continuous rotation, and belt speeds up to 60 ft. per minute. In September 2017, the square and semi-elliptical dump bodies constructed of high-tensile steel was released at the ICUEE – Demo Expo. And in January, the epoxy-lined water tanks made of 3/16 steel. All Load King vocational bodies are designed for best-in-class performance and durability, and comes in a wide range of sizes, configurations, and other distinguishable options. Fred Ross, chief executive officer for Custom Truck, said, "We brought several lines in-house in order to meet the needs of our customers. The vocational collection paired well with Load King's iconic trailer portfolio and strong reputation for quality manufacturing." "Since joining Custom Truck in 2015, we've deliberately expanded Load King's product offering outside of trailers, to further position the company as the only single-source equipment provider in the industry. By leveraging Custom Truck's leadership in the vocational realm and its proximity to operators, and merging Load King's manufacturing expertise and innovative design, we are able to efficiently penetrate and influence the equipment markets, with superior offerings," said Ben Link, executive vice president of Production and Supply Chain for Load King. For more information on Load King's Voyager Series or Load King's other vocational bodies and equipment, visit www.loadkingtrailers.com. Load King has been producing first-class trailers and other heavy equipment since 1956. Cutting-edge innovation and engineering excellence make us the market leader. As a key part of the Custom Truck One Source family of brands, we offer a complete line ofcustom designs as well as standard model trailers through our world-class dealer network. To learn more, visit loadkingtrailers.com and connect with us on Facebook and Twitter.